° Ready for immediate move in! This updated unit features a private garage, large living area and spacious bedroom. Quiet location next to a school and park. ° Additional Info: Pets allowed limit 2, unfurnished, onsite W/D connections, available now, 1 covered parking space(s), 1 fireplace(s), Dallas ISD. ° Second floor vaulted 2 story condo. 20+ ft ceilings. UNIQUE! This is a FULLY FURNISHED condo !! Extra little living place at top of ladder inside unit ! 3 skylights, TONS of natural All redone in the last year: fireplace with designer tile, high quality engineered wood flooring and tile throughout. Carrera marble counter top in kitchen, refinished wood cabinets, stylish hardware, new (2017) stove, fridge, washer and dryer (staying with the property ! ), microwave. Bathroom totally redone, glass panel for shower. Covered parking, first space ! Balcony. ° Additional Info: Pets allowed, furnished, 1 covered parking space(s), 1 fireplace(s), Dallas ISD. ° Completely stylishly remodeled 2018. This is being rented FURNISHED with all bills paid. It is 1 bedroom with an extra small room with a rolling bed. Can possibly sleep 3 comfortably. New (2018) granite counters in kitchen, cabinets, tile flooring, and more. Must see. ° Additional Info: Pets allowed, furnished, W/D connections incl., 2 covered parking space(s), 1 fireplace(s), Dallas ISD. ° Additional Info: No pets allowed, unfurnished, 1 covered parking space(s), Dallas ISD. ° Location Location Location! Updated Condominium in a gated community with a pool. Walking distance to Walking Trail, Presbyterian hospital, Dart Station, restaurants and much, much more. Close distance to Whole Foods and North Park Mall. Two bedroom second floor unit with new floors, freshly painted from floor to ceiling. Kitchen has all new cabinets and stainless steel appliances. New kitchen sink and faucet. New tub, faucet and tile in bathroom, with new vanity. All updates were recently completed in October 2018. Easy access to 75 and 635. Come and make this your home without worrying about maintenance issues for a good while. ° One of A Kind Apartment located in a private gated community, minutes from shopping centers and major Dallas Highways, amazing appeal & fully remodeled. This 2 bedrooms 1 bath features a mix of new carpets & decorative laminate wood flooring, fresh paint throughout, decorative fireplace, cozy balcony & storage room. Outstanding gally kitchen with amazing counter-tops & brand new appliances. Awesome location in Lake Highlands living! Great opportunity to lease this beautiful Apt' located on the 2nd. floor in one of the most desirable locations with many great employers as Presbyterian Hospital, North Park Mall & many others. Easy access to Central Expressway & Walnut Hill & Park Lane train stations. Must See! ° Beautiful new flooring in living room, hall, and bedrooms, plus newly tiled shower wall. This is one not to miss. Location, Location, Location. 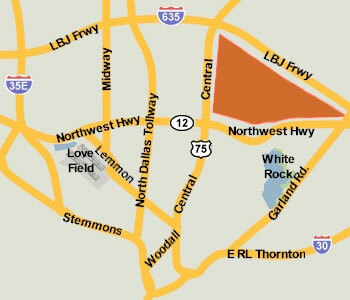 Minutes from North Park Mall, Whole Foods, Lower Greenville and easy highway accessibility. 2 bedrooms, 1 bath with fireplace, granite countertops, plenty of cabinet storage, and balcony overlooking greenspace. This unit has been recently painted, cleaned, and ready for new owners. Feel secure in this gated and camera monitored community, so whether you're a place to lease this unit is a must see!!! Make it yours today. Applicants will be directed to Zumper.com for credit report and rental history. ° Additional Info: Pets allowed limit 1, unfurnished, available now, 1 covered parking space(s), 1 fireplace(s), Dallas ISD. ° Ready for immediate move in! This unit features a large living area, kitchen and spacious bedrooms. Great apartment for roommates! Quiet location next to a school and park. ° Ready for immediate move in! This totally remodeled unit features a private garage, large living area, new kitchen, designer finishes throughout, new bathroom, spacious bedrooms, and third floor bedroom loft with full bath. Quiet location next to a school and park.